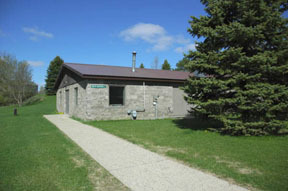 the club has been safety through education classes supported by the National Rifle Association and the Minnesota Department of Natural Resources. 1/28/19 - PLEASE NOTE THAT THE JUNIOR RIFLE CLUB IS CANCELLED THIS WEEK DUE TO EXTREME COLD. Use of Tannerite at the outdoor range is expressly forbiden. Recently this caused a fire and the club incurred a large cost to extinguish the fire and the outdoor range had to be closed for a period of time. This will not be tolerated, and loss of membership will occur if found. Also please note that then when the DNR announces a fire band we will also close the outdoor range. See EVENTS page for more information.